St Columbanus was born in County Meath, Ireland. He was educated locally and furthered his studies in multiple Irish communities. St Columbanus remained in Ireland until his forties and then travelled to France and Italy. There he established many monasteries, attracting large numbers of vocations to his monastic life and converting many to the Christian faith. Despite his ever-expanding following, he sought a simple hermit existence; often withdrawing to places of isolation. St Columbanus upheld Irish Christian traditions and maintained an inflexible adherence to Papal rule. He held great respect and love for all of God’s creatures and it was not uncommon for wild animals to settle in his vicinity or on his person. He died in Italy. His remains are held in a crypt at Bobbio Abbey. 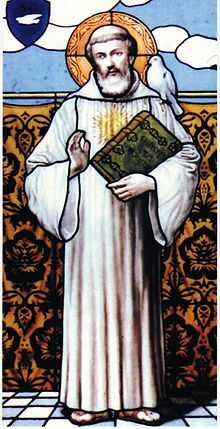 St Columbanus’ Feast Day is the 23rd November. Pray that as we journey through life, we will hold no fear, knowing that God is with us each step of the way.